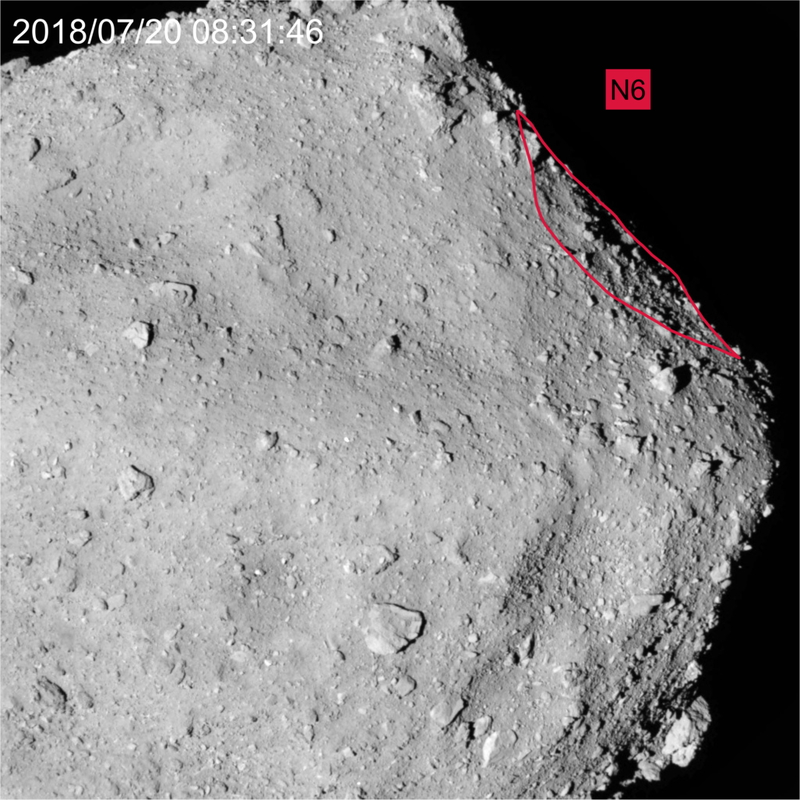 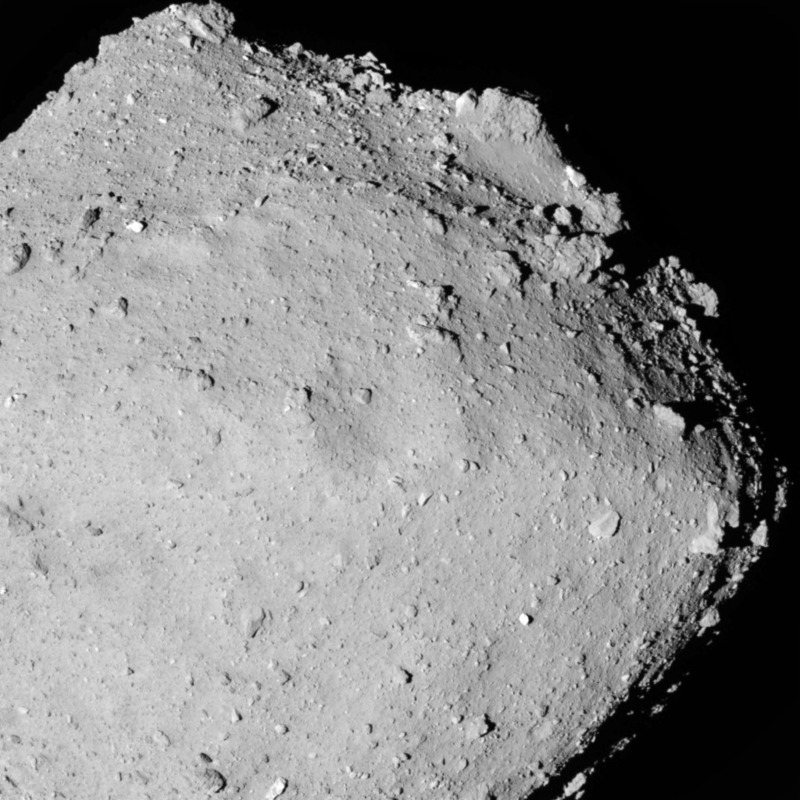 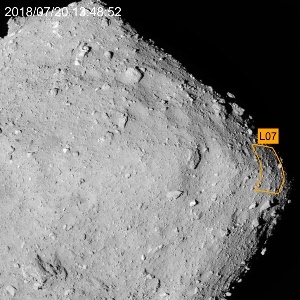 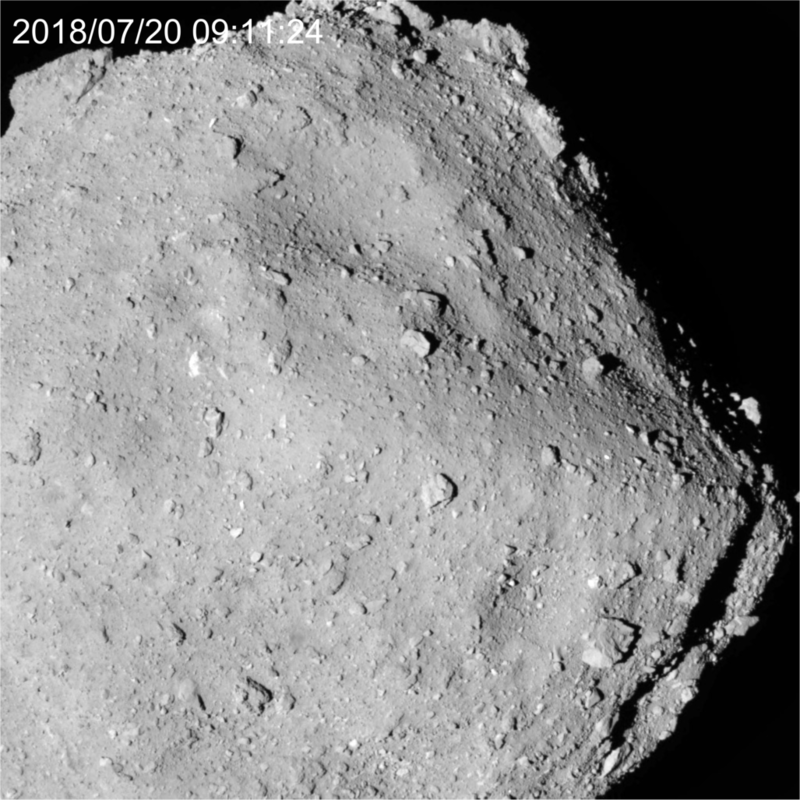 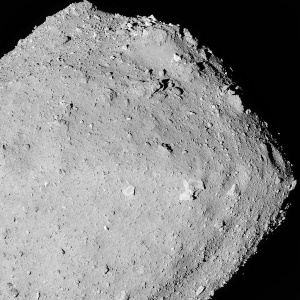 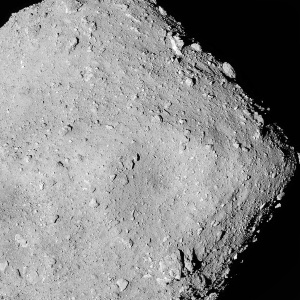 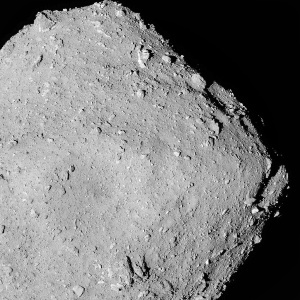 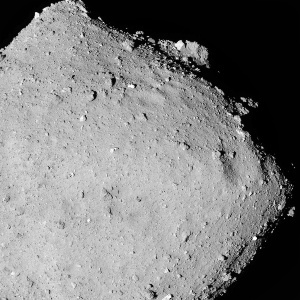 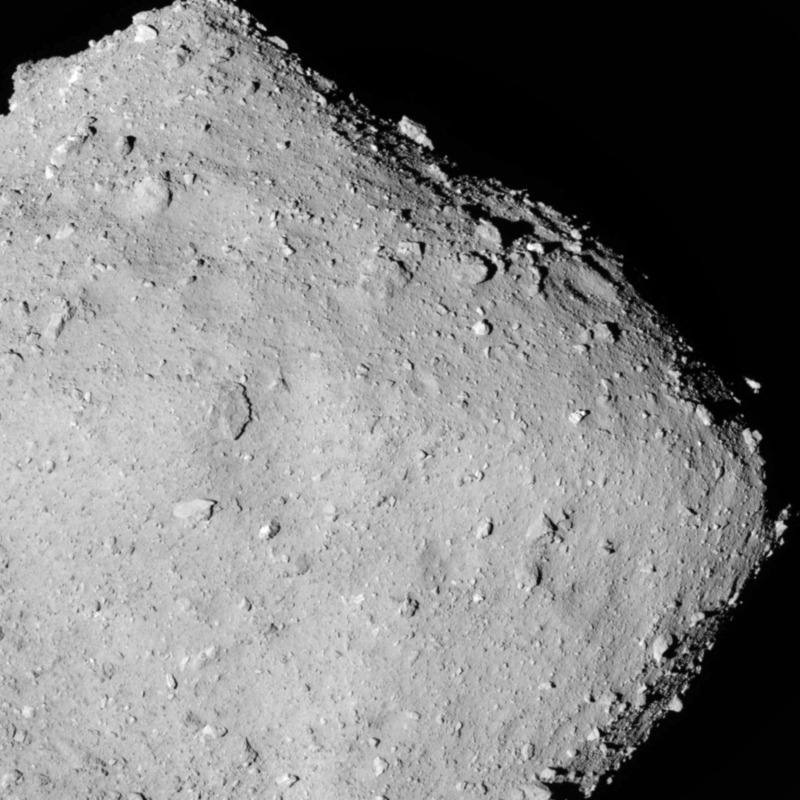 On July 20 – 21, 2018, the Hayabusa2 spacecraft descended to an altitude of about 6km as part of the BOX-C operation. We introduced a few of the images taken at this time in articles on July 25 and July 31. 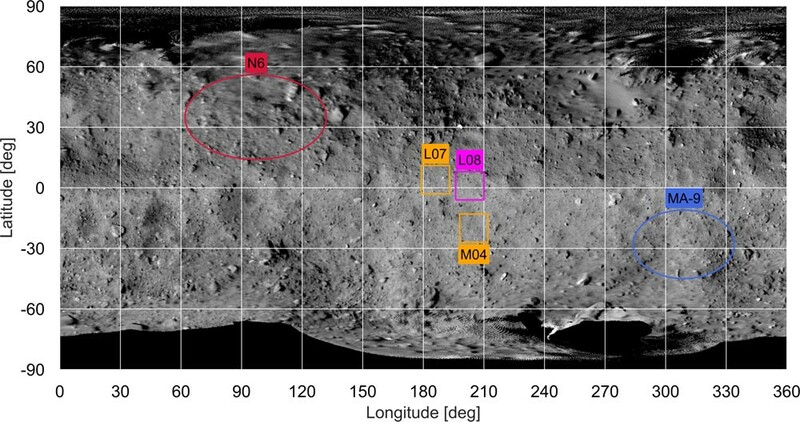 The article discussing the selection of the candidate landing sites also indicates the locations using BOX-C images. In this post, we show 12 images taken with the ONC-T (Optical Navigation Camera – Telescopic) during the BOX-C operation at approximately 30 degree intervals. We show the original images and the images marked with the landing site candidates below, starting with the complete set of candidates in Figure 1. [Enlarge left image] [Enlarge right image] Image 2 taken on July 20, 2018 at 07:52UTC. [Enlarge left image] [Enlarge right image] Image 3 taken on July 20, 2018 at 08:31UTC. [Enlarge left image] [Enlarge right image] Image 4 taken on July 20, 2018 at 09:11UTC. 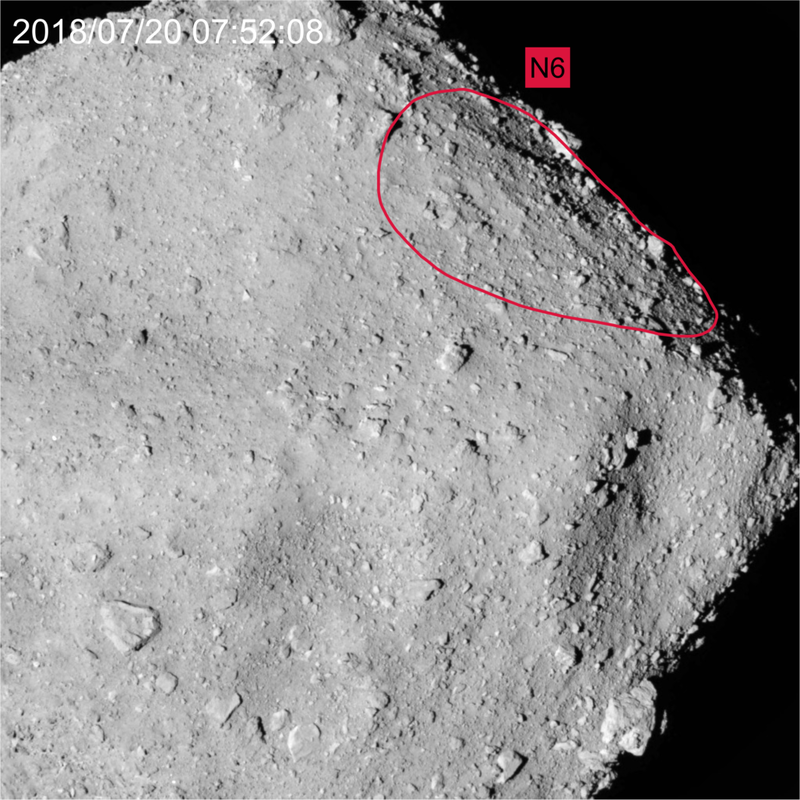 [Enlarge left image] [Enlarge right image] Image 5 taken on July 20, 2018 at 09:51UTC. [Enlarge left image] [Enlarge right image] Image 6 taken on July 20, 2018 at 10:30UTC. 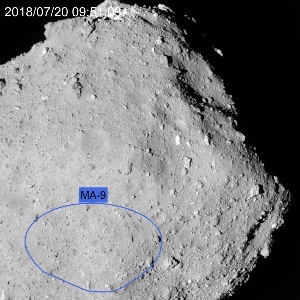 [Enlarge left image] [Enlarge right image] Image 7 taken on July 20, 2018 at 11:10UTC. [Enlarge left image] [Enlarge right image] Image 8 taken on July 20, 2018 at 11:49UTC. [Enlarge left image] [Enlarge right image] Image 9 taken on July 20, 2018 at 12:29UTC. [Enlarge left image] [Enlarge right image] Image 10 taken on July 20, 2018 at 13:09UTC. [Enlarge left image] [Enlarge right image] Image 11 taken on July 20, 2018 at 13:48UTC. 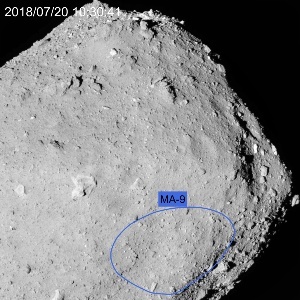 [Enlarge left image] [Enlarge right image] Image 12 taken on July 20, 2018 at 14:28UTC.